Here is part 2 of How To Make a Felt Pillbox Hat. Part 1 is here. Ever wanted to know how a felt pillbox is made? Below is a video showing me making a small cocktail or pillbox hat, using felt, a hatblock and a steamer. I show how to stretch the wool over the block. After steaming and blocking, I pin the wool to the block to keep its shape while it dries, then trim off the excess. Here is where part 1 ends. In part 2 we get to stiffening, strengthening, decorating the hat and adding attachments such as elastic or combs to affix the hat to the head. Part 2 of making a felt pillbox hat is here. Just a little clip where I show and describe 4 books I have on millinery (and especially felt hat making) that I recommend you get a hold of if you’re really interested in hats and making them yourself. 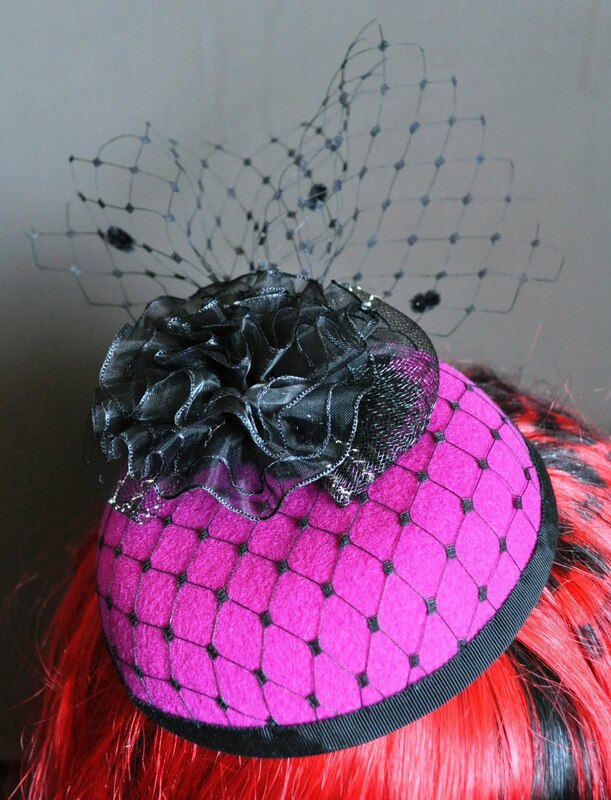 Denise is a well qualified, experienced milliner who has studied and worked in costume construction, design and history in professional theater. She began her millinery studies at the Guthrie Theatre in Minneapolis. She has also studied period clothing and hat design in the costume collections of the Minneapolis Institute of Arts, the Metropolitan Museum of Art and the Brooklyn Museum. She has traveled extensively, teaching hat workshops in both the United States and Canada including U.C.L.A., the University of Michigan, and at the national conventions of the National Costumers Association, the American Theater Association and the United States Institute for Theater Technology. Some of Ms. Dreher’s hatmaking credits include Amahl and the Night Visitors and Les Miserables for American television, Prince Regent – a BBC series, and the films The Great Train Robbery and The Empire Strikes Back. Chad Alice Hagen has been a feltmaker and dyer since 1979. She has written three books, Fabulous Felt Hats, The Weekend Crafter: Feltmaking, and Fabulous Felted Scarves. Her work has appeared on the covers of Surface Design Journal, Fiberarts and Shuttle, Spindle & Dyepot Magazine. She teaches, exhibits, works, and writes in Asheville, North Carolina. One day after getting a bad haircut, Eugenia Kim disguised her shaven head with a red guinea-feathered cloche that she had made in millinery class at the Parsons School of Design. Instantly spotted by boutiques in Soho, they asked to see her other creations, and, soon after, her business was born. Since her start, Eugenia Kim has successfully altered the millinery landscape by making hats a staple for celebrities and for stylish women and men. Eugenia is known for her innovative wovens shapes in luxe fabrications and inventive, quirky felts and straws trimmed with vintage ribbons and feathers. In 2004, Eugenia won the CFDA award for Accessories Design. In 2006, she wrote a quirky how-to book entitled Saturday Night Hat published by Random House. Eugenia Kim hats and accessories can now be found at Barneys New York, Bergdorf Goodman, Neiman Marcus, Saks Fifth Avenue, and Net-a-Porter.com, as well as over 200 specialty boutiques worldwide. Her hats have graced the runways of Ralph Lauren, Donna Karan, Michael Kors, Coach, Diane Von Furstenberg, and Catherine Malandrino. For this spring, Eugenia Kim has designed a first-time ever limited-edition hat collection for Target! Check out the range here. So, here is me modelling it; I went for an elegant look to complement the beading. How ’bout a serious look, showing the ruffled cuffs of my blouse? And if you look to the right, there’s our super huge pleco with his fin up. The necklace is gorgeous too, isn’t it? It’s from Joshua & Sean, in Newtown. People always comment on my new crown headband from Omotesando Hills – and I always remember the day I bought it, as I ran into Adam Lambert shortly after! The headband is from new store Miss Me – see my next post for the lowdown. I thought I’d try my hand at making something similar – and on doing a video blogpost for the first time. Without further ado, here is my EGL Crown Embellished headband. Hope you found it interesting (or at least skipped through the bits you didn’t need explained). As time-consuming as it was, it has now made me keen to do more (shorter) DIYs and other Vblog posts. The videoblogs will become more polished and better edited, as I get more used to the editing software. It’s cool to learn new stuff though, and I want to learn more! 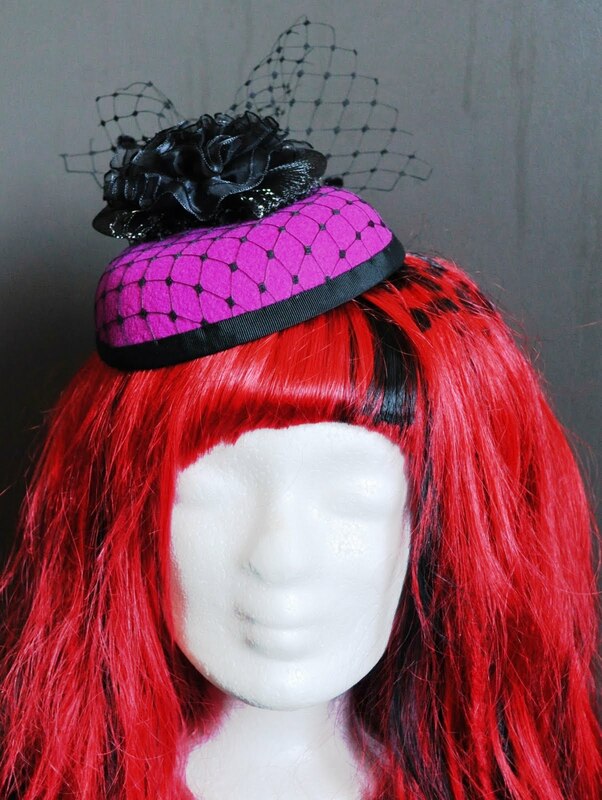 More millinery ones in store, like DIY cocktail hats coming soon…. FYI, shortly after posting this, I learned of a blogger who is a graduate of St Martins, Little Fille, who is creating a different headband every day for 30 days. She’s currently on Day 15. See her “30 Days of Headbands” at her blog, or check out the little fille shop where she sells them.